PORCELANOSA Kitchens amazes us with the Emotions collection; modern designs with which Gamadecor has undergone a great evolution, where functionality in fittings and the high quality of materials bring more to the design. In this regard, the Solid Surface from PORCELANOSA Group, KRION, allows designs to be adapted, giving increased modernity and allowing integration with the home as a whole. Emotions E7.30 has selected KRION in one of its multiple finishes. KRION provides durability, easy cleaning, is antibacterial, repairable, and has imperceptible joins, and a touch of sophistication seen in few materials. The extensive manufacturing experience ofGamadecor and the best selection of raw materials in its Emotions E7.30 series allows its guarantee to be confidently extended from 5 to 10 years. 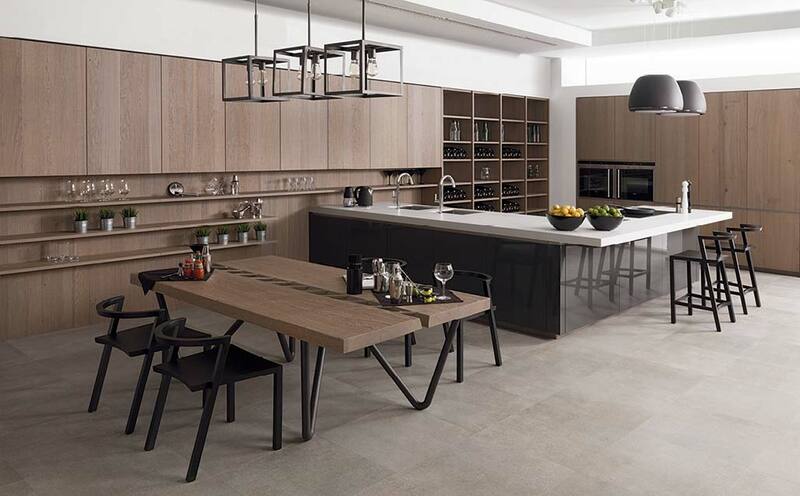 Visit your nearest PORCELANOSA store and learn more about the most innovative kitchen series, Emotions.